When my vision deteriorated, I confronted my fear by doing a Masters Degree. My thesis was "Do Visual Artists Need To See? 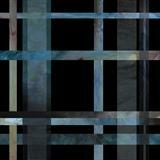 - Exploring Alternative Perceptions", and the body of work was a conceptual series of digital prints. Thse are now on permanent display at Moorfields Eye Hospital. Three of the smaller pieces are in the print collection of the V&A.